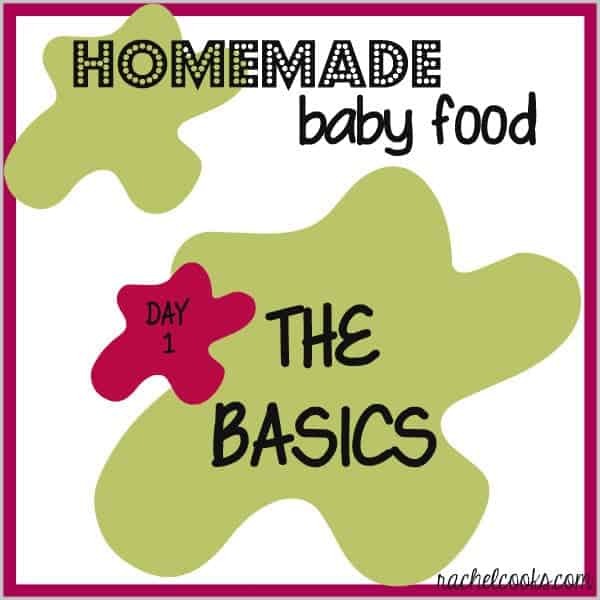 Looking back on my previous post about homemade baby food, I covered the basics pretty well. If you want more details, check out that post. With that said, this will be a quick review and I’ll mention a few things I may be doing differently with baby #2…little man N.
I should start by saying, I am not a pediatrician nor a dietitian. Check with your doctor before introducing solids and definitely use this only as a rough guideline. Always trust your gut and do your research. Money saving. 50 cents might not seem like much for a jar of baby food but it adds up when you’re feeding a hungry little baby. Control/Quality. Organic? Go for it. Local produce? Easy! Want to introduce some texture? No problem! Variety. Have you ever seen parsnips in a jar at the store? I didn’t think so. Parsnips were one of my daughter’s favorite foods. Freshness. You can make sure your baby is getting the freshest possible food by making your own. Flavor. Add in spices, roast your vegetables before pureeing, the possibilities are endless. I truly believe this leads to a less picky eater. When Do You Introduce Solids? Ask your pediatrician. With both of my kids, I waited until they were 6 months old. Until then, they were solely breastfed. 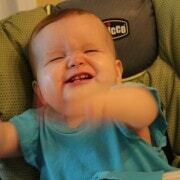 Some people introduce solids at 4 months. It is dependant on the baby, the pediatrician, and the parent. Breastmilk and/or formula should remain the #1 source of nutrition. Solid food doesn’t replace milk. I always nurse first, then feed my baby solids. Introduce new foods one at a time so that you can be alert for signs of allergies. Space out the introduction of new foods by 3-4 days. With my daughter, I was kind of nuts about this. I used a calendar and specifically kept track. With N, I’ve been a little more lax, but I’ll be more careful when I start adding foods which commonly cause reactions. First foods? I’m pretty by the book, so I started with rice cereal. It’s also what my doctor recommended. Other common first foods are banana, avocado, and sweet potato. If you think your baby is allergic to a food, contact your doctor. Some things to look for are hives, sneezing, wheezing, vomiting, diarrhea, pale skin or lightheadedness. If several of these happen at once, by all means — call 911! You know your baby better than anyone else. Trust your gut. Sunday: I’ll be taking a long nap, you? Great idea, Rachel!! The photo of the store vs homemade comparison is brilliant! Love seeing the difference in even color! thanks Nikki! Time sure does fly…scary! Girl you knoooow I’m about to be all ovah dis. Heck ya! You’re going to be such a super mom, I just know it! LOVE this post! 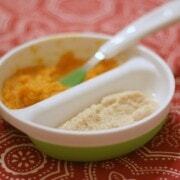 When I have children I really want to make my own baby food, so I’m so excited about this! I make all my own food too for my baby and did for my son as well. I opened a pack of organic store bought food the other day out of desperation b/c I forgot to defrost food…it looked like slim. So gross, I threw all of it out. Yuck! 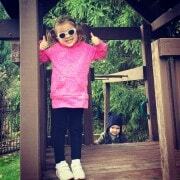 I made baby food for my kids and loved doing it! It was so much cheaper and so easy. Kinda sad that I don’t have anymore babies to make baby food for! I love the comparison graphic! Thanks Aggie! I’ll admit to doing a mix of both homemade and store bought but it is SO much cheaper to do homemade! 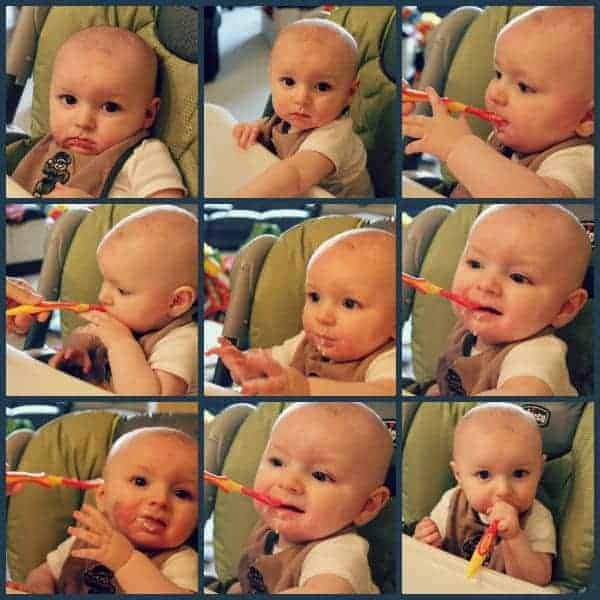 just a query.. when u puree and freeze, how long do u use that baby food?? one day or more? Thanks Renu! I freeze in small (ice cube sized) portions and take out what I need for the day. It keeps in the freezer for at least 6 weeks though, especially if you put it towards the back of the freezer or if you have a deep feezer. I had never seen the jarred baby food compared next to the homemade food. Thanks for your post!! Thanks for the helpful post! I will be starting to make my own baby food this week! It’s very exciting! I’m looking forward to freezing in the ice cube trays. Great idea!! Thanks!